Photo stitching involves several images that are combined with overlapping fields of view to recreate a sweeping landscape. If you took several overlapping images of a landscape and want to put them together to create a panorama or wide-angled, high resolution image, there is a solution. There are many photo stitching programs that allow you to do this and they are very easy to use. Wide-angled lenses can be very expensive but with the help of these apps, you won’t need them. All you have to do is to make sure that there are not shifts of color and brightness, or misalignments in the set of photos captured. Here is a list of the best apps that you can use to combine your photos to get a panorama image as a result. Image Composite Editor is a solution for Windows, but in spite of offering advanced features, it is very easy to use. It works within seconds, allowing you to combine your photos to get amazing creations. If you only have to stitch two photos, all you need to do is to go to file, then new and select the images. It is very simple and once you have selected the photos, you can let Image Composite Editor take care of the rest. It also lets you crop the image as you prefer to get the result that you want. You can export the image as a PNG, JPG or PSD file that can be edited using Photoshop. It is possible to save the final version as an HD photo as well. If you are looking for a solution that is very easy to use, consider Autostitch, a free software that works for Android, Mac, Android and iOS. In order to use it, you just need to launch, click file, open and select the photos that you want to combine. In only a few moments, the software will stitch the images and will allow you to export the result and open it for view. Autostitch allows you to combine two or several photos, just keep in mind that in the second case, the app may take longer to give you the result. One thing that you need to bear in mind is that if the photos have different sizes, you will need to crop the output image manually. While there are some editing options, they can be complicated so you may have to use paint or another editing software. This premium option brings simplicity and advanced features together. You can just launch it, add the photos, select detect and the two images will be combined into one. Then you can easily save the final result. Keep in mind that if you delete the final version and click on detect again to make sure that the images are stitched again, you won’t get the same result. If you try multiple times, you are likely to get different results. If you are not happy with the outcome or you have to get more details for a more complicated task, you can click edit and you will get access to a wider selection of options including color anchors, geometry, projection settings and color points editor. You can purchase Autopano from €99 EUR. There is a free trial available, but it features watermarks on the photos you export from it. This software will align individual photos automatically and it stitches them one by one to create stunning panorama images. This is a fully automatic image stitching program that keeps things simple. All you have to do is to capture overlapping images, select the ones you want to use and select the Stitch button. It is possible to crop the result with automatic cropping. You can also buy a bundle of photo editing tools that include PhotoScissors, BatchInpaint, iResizer, PhotoStitcher and MultiView Inpaint. 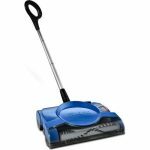 It is an affordable solution that you can get for just $19.99. With ArcSoft Panorama Maker, you can combine series of overlapping images into amazing panoramic photos in just a matter of seconds. There are 5 auto-stitch modes available: 360, tile, horizontal, vertical and auto. You can get results in just three simple steps. First, you need to click on the auto selection or Auto-select by group option. Then you can select an entire group of related images. The software organized the photos and stitches them seamlessly to create a beautiful panoramic image. You can also save, print and share the resulting image online. With the 360 stitch mode, it is possible to create and view 360 degree panoramas. It is possible to create stunning 3D panoramas by saving the image in .MPO format. While this Panorama photo stitcher is not as easy to use as other software, it offers a wide selection of options. Hugin may not be the best choice if you only want to combine two photos in a simple way. It requires some manual input so it is not as easy as selecting the images and letting the app do the rest. You will need to add the control points to make sure that it recognizes the parts that the photos share. If you just click on Align, you will get an error so make sue that you select the control points to get the right fit. In order to stitch photos that you took at a different angle, Hugin can be an ideal solution since it offers many options related to field of view and projection. Hugin is compatible with Mac and Windows. Here is another software that will allow you to stitch multiple images to create a panorama. It works with standard digital cameras with normal lenses so even if you have one of these, you will be able to create amazing panoramic images. Automatic photo stitching and manual photo stitching are supported in the photo stitching software. If there are enough matching points between adjacent images, automatic panorama stitching will be applied. If that is not the case, manual photo stitching will be used and applied to insert matching points manually. Panoweaver is capable of stitching several normal or fisheye photos into 360 degree panoramic images. It is the right solution to create 360 x 180 degree spherical panoramas using fisheye photos. PanoramaPlus is able to identify related images and it combines them to create a beautiful panoramic image. There are two dimensions involved in the stitching process including vertical and horizontal panoramas. It is possible to use PanoramaPlus to make a panoramic photo from your favorite video footages. The software splits movie clips into still frames automatically and it lets you choose the ones that you want. Then they are stitched together to get a panoramic image as the final output. PanoramaPlus features editing tools that allow you to crop the photos so that they fit any frame size, straighten skewed pictures and rotate stitched images. It takes only one click to send panoramic images to any version of PhotoPlus that you have installed so that you can complete advanced editing tasks. It supports a wide range of popular file formats. 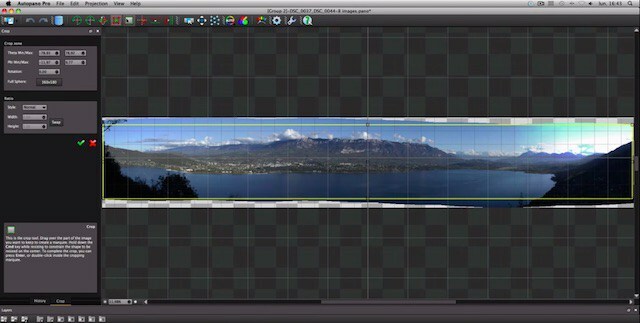 PTGui lets you stitch multiple rows of images to create a panoramic image. It is capable of creating 360 degree cylindrical panoramas, spherical 360 x 180 degree panorama and “flat” partial panoramas. The software can combine tilted and rotated images and with it, you can also create gigapixel panoramas from several images. There is a masking tool that lets you get complete control over the final stitched result. What makes PTGui stand out is the fact that it doesn’t just stitch panoramas automatically, but it also gives you manual control over every parameter. In addition, it carries a spherical panorama viewer and a web publishing tool. Another useful feature is the Batch builder, which scans folders for panoramic images and then it stitches them automatically.